As Buffaloians we will most likely be exposed to cold weather conditions that include sub-zero temperatures, sub-zero wind chills, blizzards, lake-effect snow, sleet and freezing rain. Designed for the Arctic conditions, you will happy to have these when THAT time arrives! Nicknamed the "THE WINTER CLAW", these SnowForce™ Brand of Extreme Cold Winter Mitts are serious winter hand protection made by a serious glove engineers. 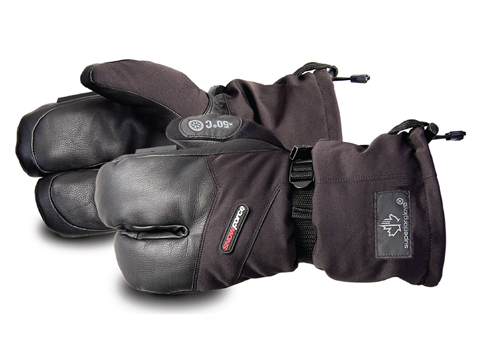 Constructed for the folks who live and work in the frigid Canadian Arctic, we are excited to offer these Snowforce™ winter mitts for outdoor recreational enthusiasts or businesses interested in keeping their employees or loved one's hands warm and dry for extreme cold conditions of -58°F.